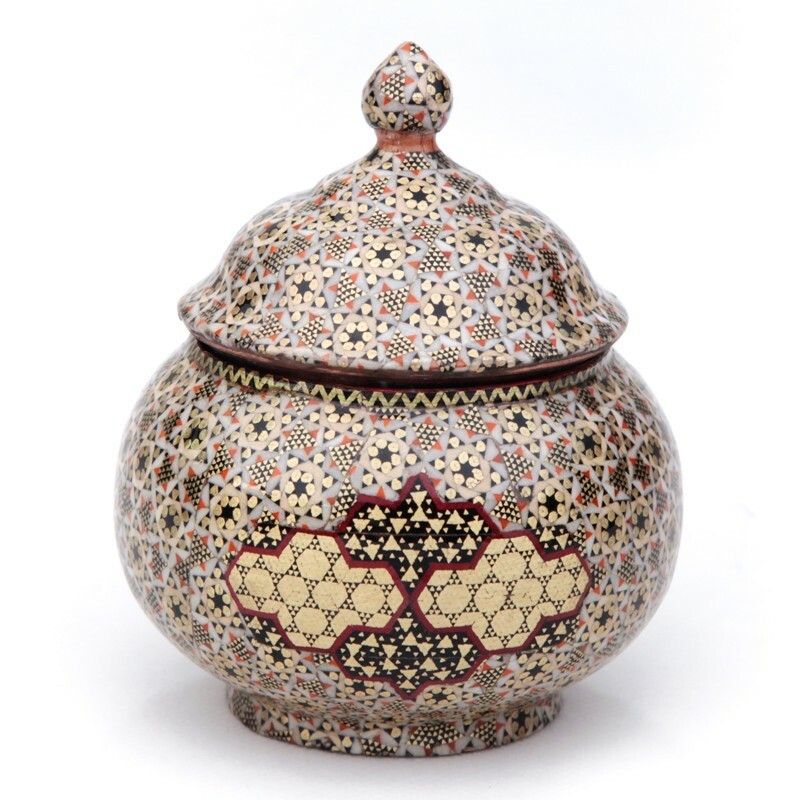 Khatamkari sugar bowl - if you like it, you can find it here. Making a Khatamkari piece is quite hard, and it takes a really, really long time. Not the best entertainment if you have only a couple of hours. But who says you can't make those gorgeous designs on Khatam with something OTHER than bones and wood?! You can make them with the one material that is always there, cheapest one on the market, and the easiest to use. 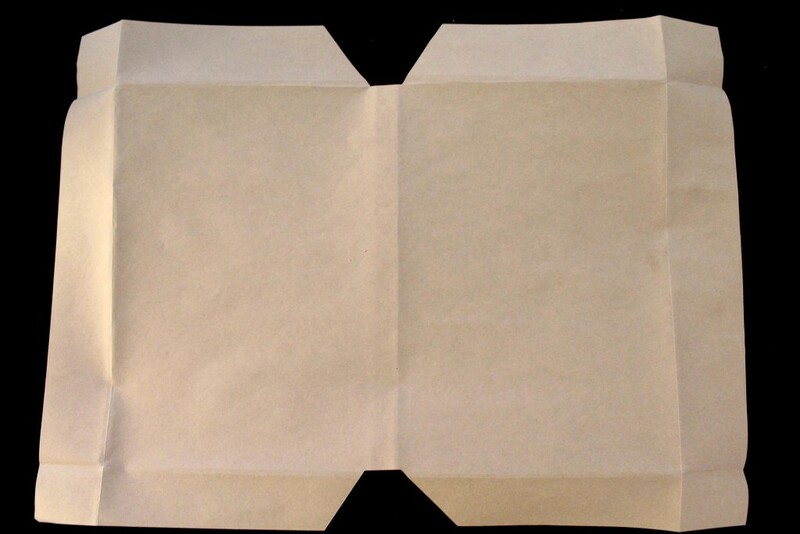 Ladies and Gentlemen, I present to you: The good ol' paper! We want to make a book cover with Khatam design! You remember that ugly book you never read because its cover doesn't make you feel like reading? Yeah, that's the one we want to cover today! And yes, this is a drawing DIY. But a fun, easy, and practical one. Cause it's the means to a greater goal: beautifying ugly things in the world. Think about it this way: You'll be giving a poor, ugly book a reason to feel good about itself! 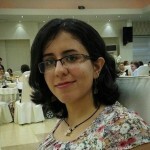 Did you feel bad about the book? Should I keep going about all that dust on the poor thing? Or how the only use it ever had was to be your clipboard when you write the shopping list? I hope you're starting to feel guilty now! That's the spirit! Let's get started then! And of course, the lucky book that's getting all the makeup! First things first. 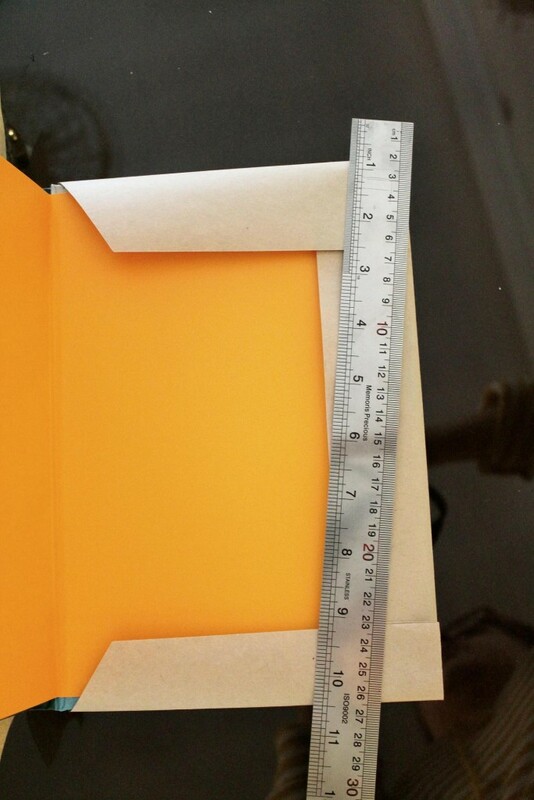 We have to measure our book to see how much Kraft paper we need. 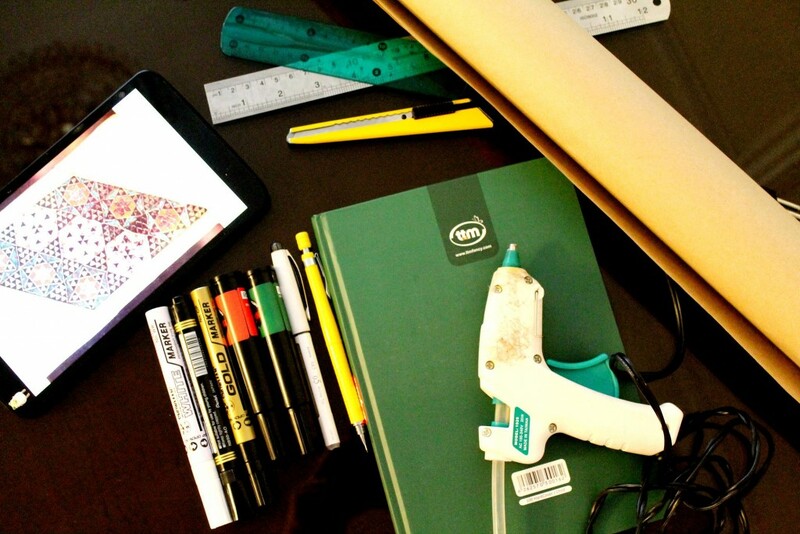 Open the Kraft paper roll on a flat surface, and open your book down on it. 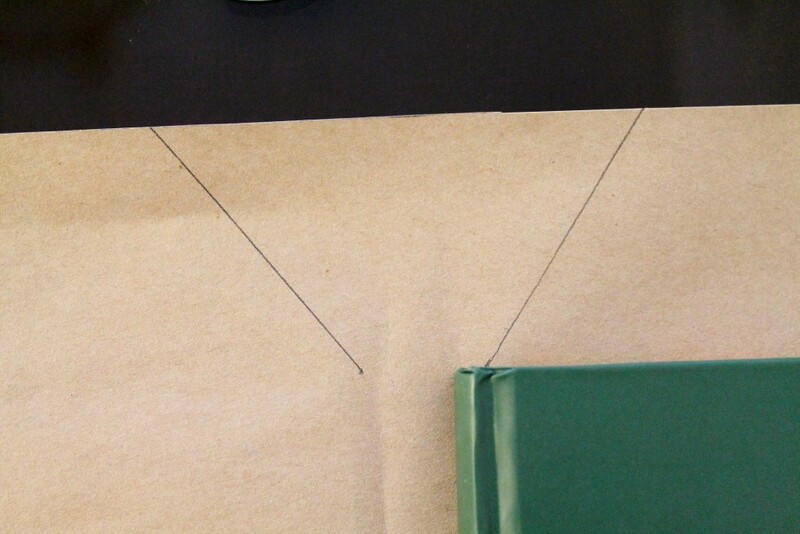 Measure the width of the ugly cover, multiply it by two, and add the width of the spine. When you get this done, go measure the sides too. We need to add four inches to each of the two measurements (two above, two below, two on right side and two on left). These are for the parts that we later fold inward and glued inside. 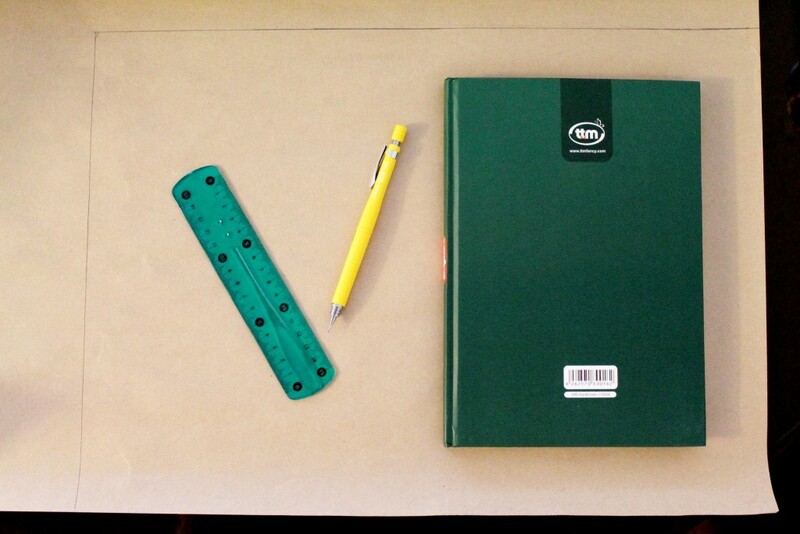 If you ever covered schoolbooks, you already know how to do this. I'm explaining for the ones who let their poor moms do it. 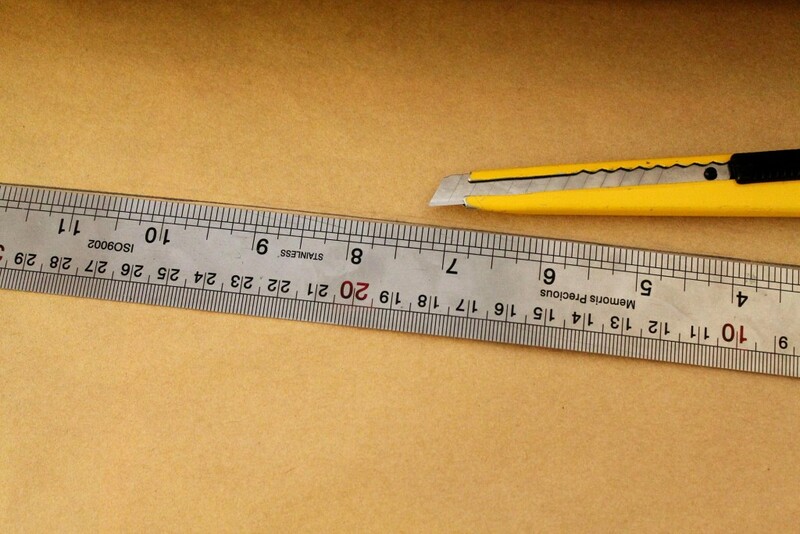 Cut the rectangular paper with the length and width you measured (with extra four inches). Do the same thing on the extra space below the book. 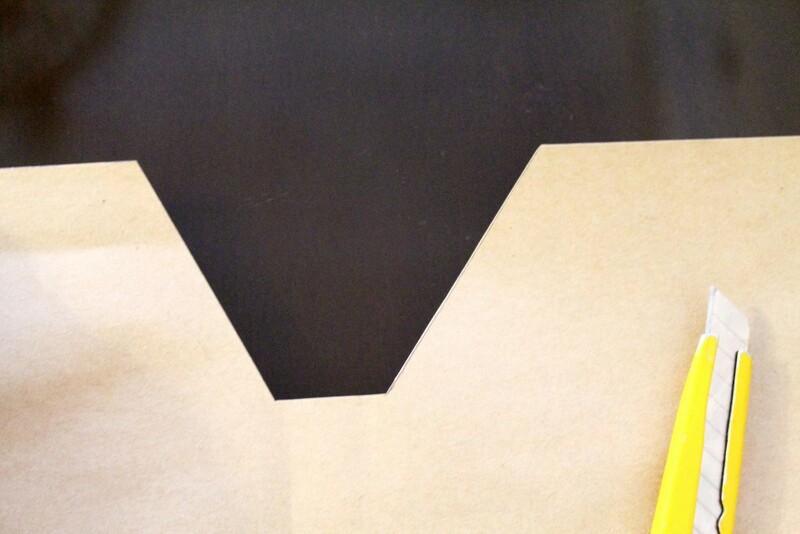 Now cut out the two trapezius shapes you just made above and below the paper. We won't be need them anymore. But don't throw them away! You can use them to make teeny tiny origami! 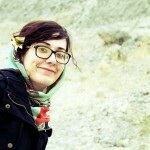 It's so fun to make miniature origami, and really challenging too! 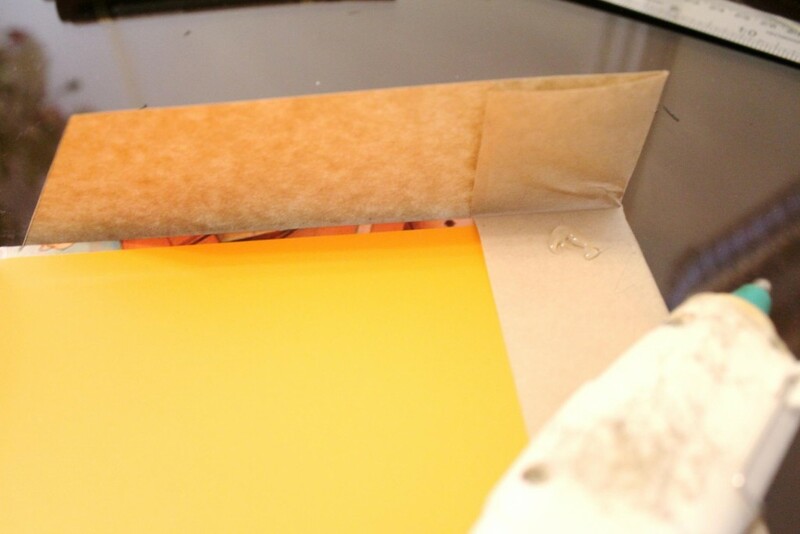 Put the book on the Cover-to-be and Fold the extra sides on the old cover. Make sure you fold only two inches on each side and no more. Turn the paper over. 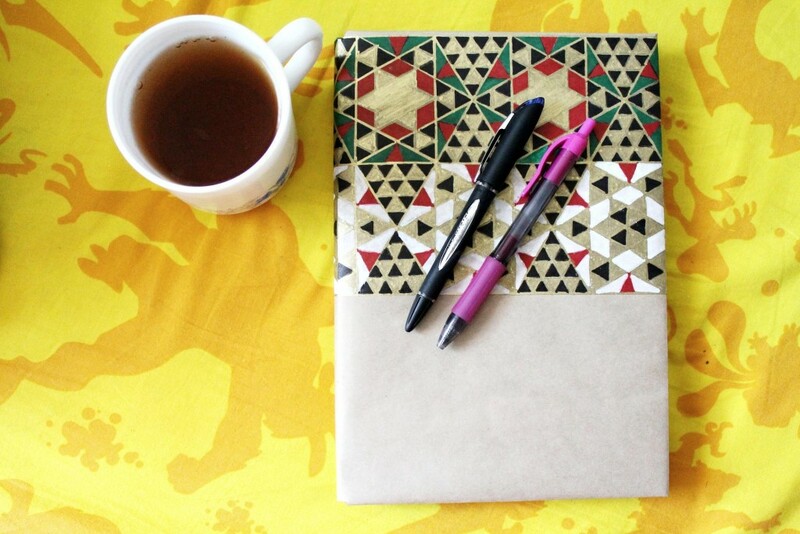 It's time to start copying the Khatam pattern on our cover. 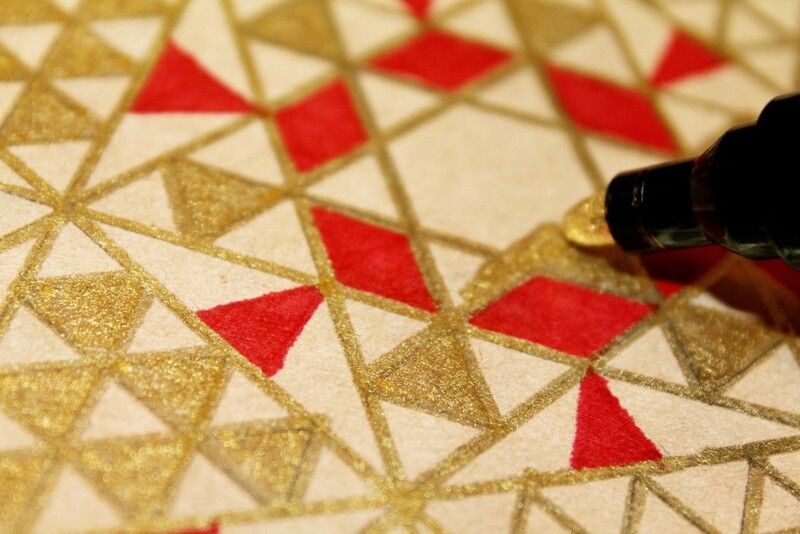 Carefully draw the tiny triangles. You'll notice that although most of triangles are equal in size, some are exceptions to this rule. 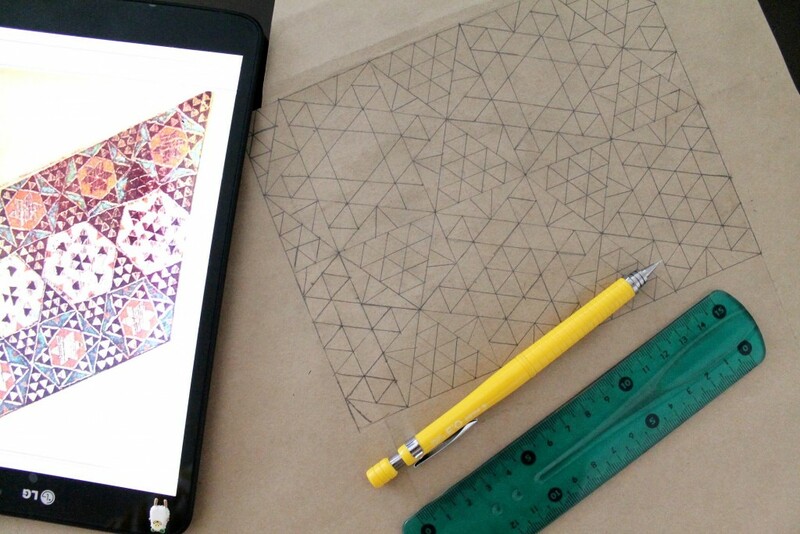 The assembly of tiny triangles forms bigger shapes, so it's easier if you start by drawing bigger shapes and then divide them to smaller triangles. Remember not to push your pencil too hard when drawing the primary pattern, as it might show after coloring and ruin all your hard work! Here comes the fun part! it's time to make it colorful! 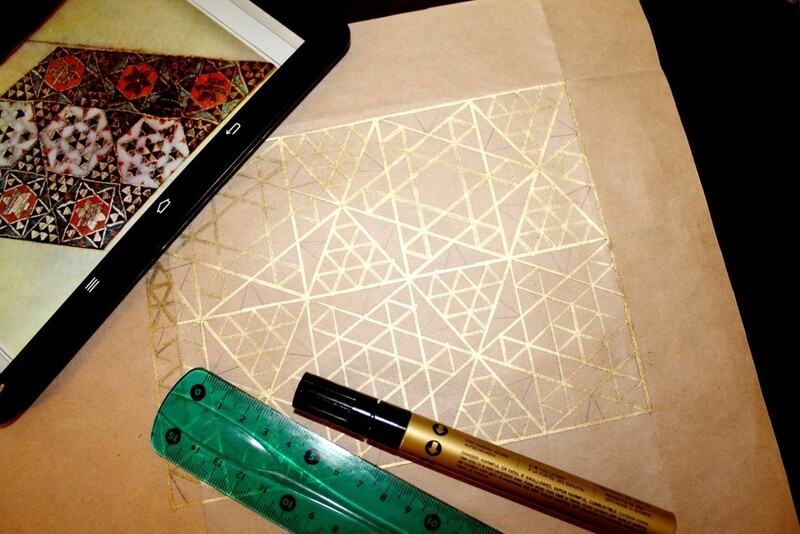 With your gold sharpie, redraw all the lines you made with pencil. 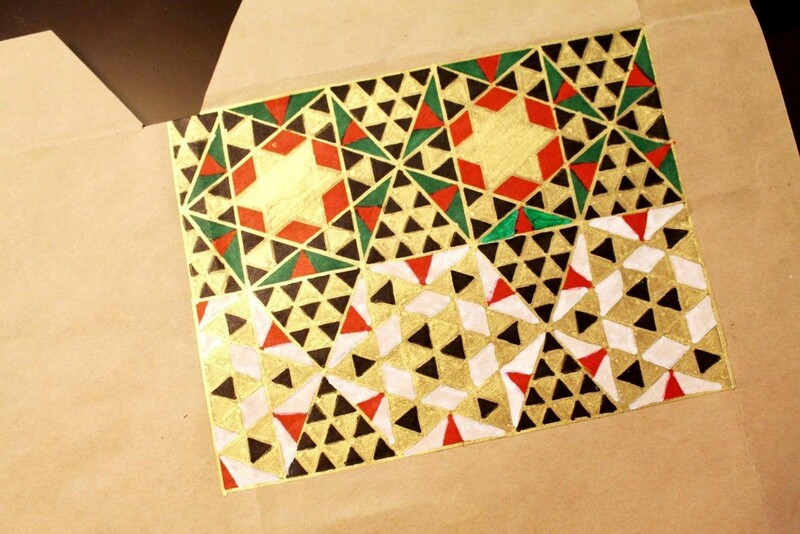 Color the triangles according to the pattern. Fold the extra inches on the creases you made before. Glue them all inside. It's all done! Take a moment to admire the beautiful work you created. Your book will be so proud! It'll love you so much that it won't mind when you don't read it. But you'll read it Now, won't you? What else is there to judge a book than its cover?